Weleda’s nappy change cream is an award-winning, 100% natural, deep nourishing barrier cream that comforts and protects delicate skin. The rich cream formula combines skin-friendly lanolin and zinc oxide that provide a protective barrier, organic almond oil for moisture, and soothing organic calendula and chamomile extracts for gentle care. Helps prevent soreness and reduce redness. Certified Natural Baby Care. Free of synthetic preservatives, fragrances, colourants. The Weleda Calendula Nappy Change Cream - 75ml product ethics are indicated below. To learn more about these product ethics and to see related products, follow the links below. The only creme that has worked on my daughter's sensitive skin and nappy rash, smooth, rich and soothing, natural calendula smell and no nasties. 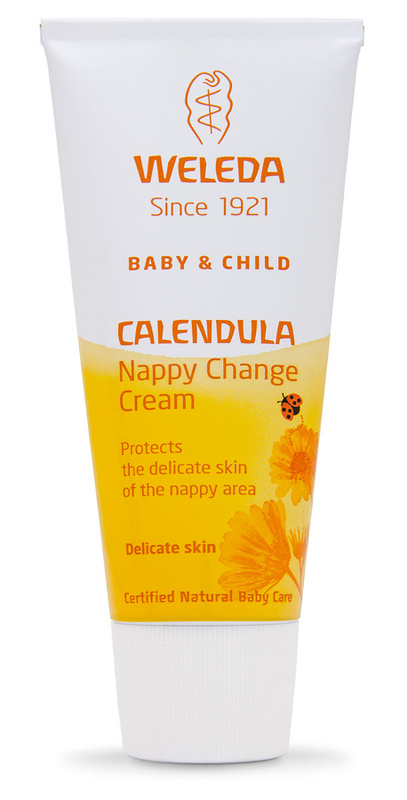 There are currently no questions to display about Weleda Calendula Nappy Change Cream - 75ml.